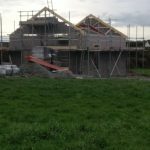 Pritchard Construction - Professional construction in Anglesey, North Wales. 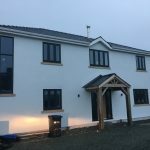 Professional construction in Anglesey, North Wales. 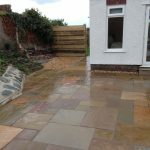 Pritchard Construction operate in North Wales. 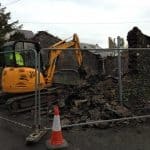 Pritchard Construction can offer their wealth of experience to assist your project, or provide independent Consultancy Services from a number professionals. References and inspection of a number of developments carried out by the Pritchard family business can be provided. 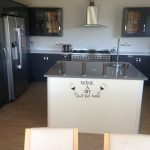 There are a range of Pritchard built homes, large and small, which can be shown to prospective clients, in order for them to gauge the standard of our workmanship from. The bread and butter of our business, a wide range of additions to both old and new buildings alike, stand as testament to our abilities. From loft conversions to shop and commercial conversions, Pritchard Construction are ideally suited to carry the works out. 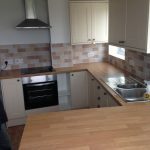 All aspects of renovation and repair work undertaken, including Damp Proofing, Leadwork, Plumbing, electricals, and decorating. U.P.V.C., dwarf wall, or full depth walls, including translucent roofing or traditional tile/slate, prefabricated frame or bespoke timber, Pritchard Construction covers the whole range. All works carried out using only the finest materials, to bespoke designs – Pressure Treated Timber used, along with coated or plated fixings for maximum longevity. Traditional concrete (variety of finishes), flags, stone slabs, Brick Paviours, Tarmacadam… also brick and stone boundaries etc. Pritchard Construction can design and install your new kitchen. You can be fully involved from the outset to ensure that you have the desired end result for your new dream kitchen. 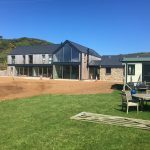 Pritchard Construction were contracted to undertake a complete new build to purchased land in Cemaes Bay. The property has been designed and tailored to meet the customers plans. Complete design and construction of brand new garage. 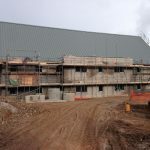 Pritchard Construction were involved as one of the contractors in the building of the new medical centre in Colwyn Bay. Pritchard Construction was contracted to completely excavate land surrounding the property and complete landscaping and implementation of new patio area. 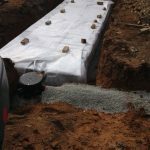 Pritchard Construction were contracted to supply and install a complete new drainage system. 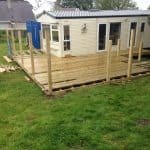 Full new design to meet the customers requirement and the construction of new decking area.